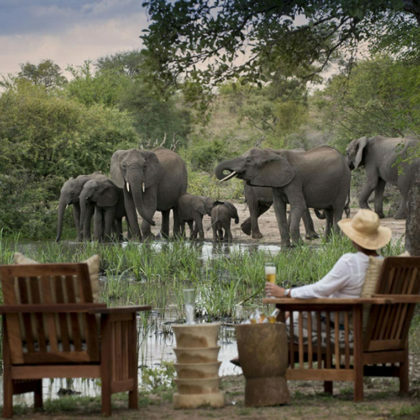 Today you will travel to the Timbavati Private Game Reserve which forms part of the Greater Kruger National Park. 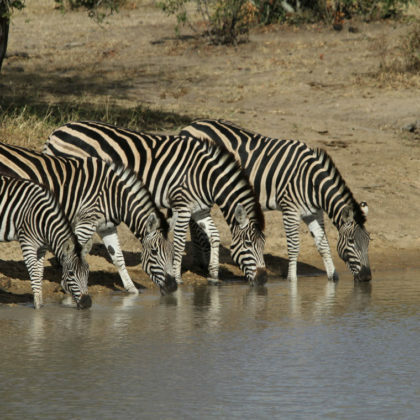 You should aim to arrive at the Reserve in the mid afternoon so that you can join the afternoon game drive. 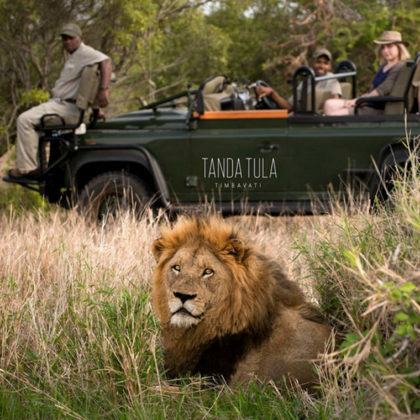 This will be conducted in an open safari vehicle and led by an experienced local guide who will help you track down wildlife including the Big Five (lion, leopard, elephant, rhino and buffalo) among many other species of animals. Stop off in a scenic spot for sundowners before enjoying a night game drive in search of the nocturnal animals of the bush. Return to the loge where you will savor a delicious meal cooked out over an open fire in the traditional boma which has been lit with lamps to create an authentic safari ambiance. Drift off to sleep to the gentle sounds of nightjars and frogs that are the chorus of the African bush at night. This morning you will head out on an early morning game drive and the guides will interpret tracks to tell you the dramas that have played out overnight. The Timbavati Nature Reserve is famous for its white lions which were “discovered” in the 1970’s and have been the subject of many books and much mythologizing. You can also explore Africa on Foot during a guided bush walk which will allow you to spot the smaller creatures of the bush which you miss on game drives such as mongooses or birds. 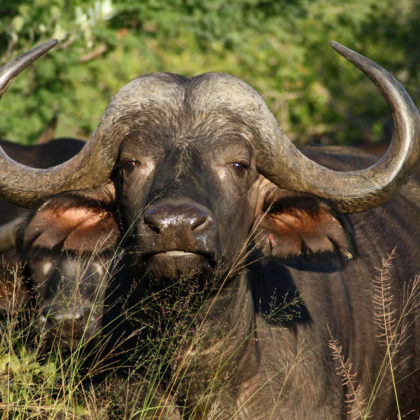 In the afternoon you can set out on the afternoon game drive in search of buffalo, rhino and leopard among other animals. The afternoon game drive will extend after dark so that you can search for animals such as genets, civets and porcupines. Upon your return to the camp you’ll delight in a delicious African inspired meal while recounting stories about the day’s sightings. Once more you can choose to set out on an early morning game drive to see the diverse wildlife which calls this region home. You will then travel to the Manyeleti Private Game Reserve. 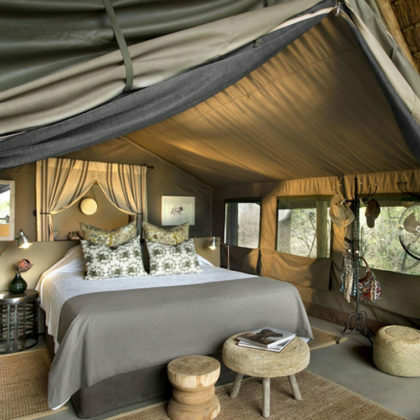 Your camp is known for its exclusivity but with a rustic bush ambiance. The eco-friendly camp has no electricity but instead relies on kerosene lamps for lighting. 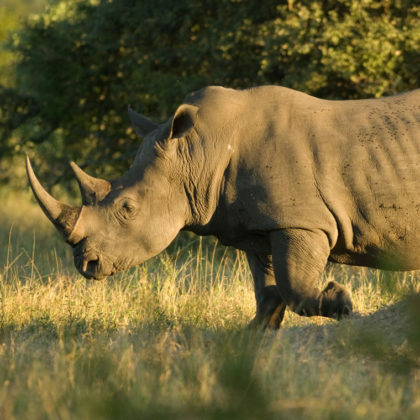 You can choose to relax or set out on the afternoon game drive during which you might be lucky enough to come across predators such as lions on a kill or see endangered rhinos. This morning you can choose to seek the wildlife of the region on another game drive or set out once more on a bush walk in the company of an armed local ranger who will reveal secrets about life in the bush. You can also spend some time relaxing in camp and taking in the peace and quiet of life in the bush. Today you will travel into the renowned and exclusive Sabi Sands Game Reserve, a region which has always been known for its Big Cat sightings of lions and leopards. Because you are situated in a private reserve the guides are allowed to drive off road and you can get closer to the animals for great photo opportunities. Many of the animals are habituated to the vehicles and can be approached closely making for a once in a life time safari opportunity. Once again you can go on morning and afternoon game drives in search of all the amazing wildlife which lives in this diverse landscape. If you are feeling energetic, you will still have the opportunity to head out once more on a guided walk. 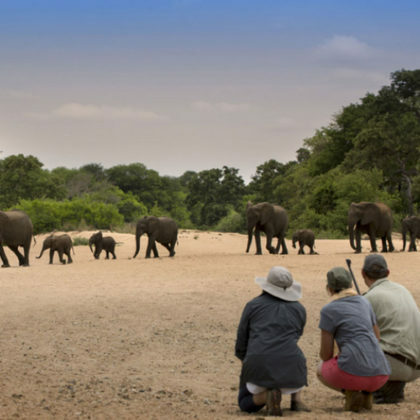 This is the last day of your Kruger Private Lodges Package and after one last game drive to see the regions magnificent wildlife you will continue on to your next destination.